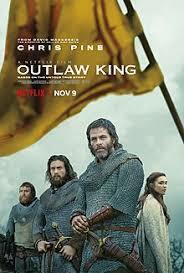 The movie Outlaw King tells the tale of Robert the Bruce and his rise to the Scottish throne. Many of us know the story of Braveheart, where William Wallace leads a major rebellion against Edward I in the late 13th century. That movie did not only show the English as repressing the Scots but it also showed another prominent Scottish figure, Robert the Bruce, as being supplicant to the English and enabling their actions until finally he successfully revolts against the English during the reign of Edward II. Many historians had criticized this aspect, where Robert the Bruce was shown in a negative light. In fact, Robert the Bruce, along with many Scots, did for a time accept Edward I as the king, but Robert the Bruce may have simply waited and calculated for an opportune time rather than risk a rebellion that was likely to fail. The Netflix movie Outlaw King tells his story and shows a fictional version of how Scotland freed themselves from English rule. The story begins with Robert the Bruce, along with other prominent Scottish nobles, meeting with Edward I to accept him as their king in the early 1300s. They had already led a rebellion that was unsuccessful, where Edward I, Hammer of the Scots, had earned his nickname by defeating the Scots. Robert still wants to be king, his family has ancient lineage to the throne of Scotland, but other claimants exist for the Scottish throne. None of the claimants are in a position to attack the English because they are weak and English also possesses key areas of Scotland. John Comyn was another Scottish noble who might have had an even stronger claim to the Scottish throne. William Wallace is the last major Scottish figure not to accept Edward I as the king. Eventually, after several years of being on the run and hiding in the highlands and other regions, William is killed. The movie shows that Wallace's death inspires rebellion against the English because his death sparks a nationalist rage that convinces Bruce to plot to take back Scotland. As the Bruce begins to plan for the rebellion, he meets with Comyn in Greyfriars church. However, the two quickly make their own claims to the throne of Scotland and Comyn does not show a willingness to side with the Bruce against Edward I. This leads to a fight where Robert the Bruce strikes and kills Comyn. Comyn's death causes the Scottish Church to excommunicate Bruce. Despite Bruce's excommunication, the Scottish church leaders absolve Bruce and promote his rebellion. Six weeks later, Bishop William de Lamberton crowned Bruce the King of the Scots at Scone, which was the traditional location where Scottish kings were crowned despite its close proximity to an English garrison. However, many Scottish nobles failed to join his rebellion which almost led to Bruce's capture. Bruce escaped with a few followers at the Battle of Methven. Bruce and his army were almost destroyed in a night attack that had them unprepared as Aymer de Valence defeated him in a surprise attack. After this, the Bruce may have spent the winter of 1306-1307 in the Hebrides after successfully escaping. 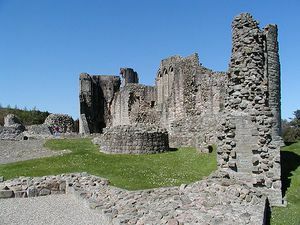 His wife, Elizabeth de Burgh, went into hiding in Kildrummy Castle after this battle, but she was captured after a siege of the castle that was guarded by Robert the Bruce's brother (Niall Bruce). After the castle fell, Niall Bruce was executed. From that time on, Robert the Bruce had realized to defeat the English he would have to conduct a mostly guerrilla war. This proved to be a very successful strategy as he began to have success in attacking the English in places they did not expect. When he did next meet the English in battle, he wanted to choose the ground where the battle would be. In May 1307, the advantage point for him was at Loudoun Hill, a place that was trapped on either side by marshes. While the Bruce was aware of this, the English were not. They saw the small Scottish army that was poorly equipped as an opportunity to destroy him and they fell into his trap. The Bruce and his forces had also made trenches that restricted English movements to areas that were prepared with spears. Robert the Bruce was attacked by Aymer de Valence, once again, but this time he had made conditions perfect for Scottish victory. While the movie ends there, it is clear that this was just a turning point. Soon after this battle, Edward II took over England from his father after he had died and he was far less able to fight the Scots effectively. After more successful operations by the Bruce and the major defeat of the English at the Battle of Bannockburn, where once again Robert the Bruce had to use creative tactics to compensate for his inferior numbers, the Scots were effectively broken free from the Englsh. After that time, it was Robert the Bruce who launched invasions on the English and was later recognized as the Scottish king by Edward II's successor, Edward III. Figure 2. Kildrummy castle was supposed to be Robert's key home and eventually became the place where Elizabeth, his wife, was captured by the English. While Braveheart has been much criticized for its lack of historical accuracy, and not to mention how it diminishes the role Robert the Bruce played in the war against the English, Outlaw King does a generally better job in showing key events until the Battle of Loudoun Hill. There is still a lot of leeway in the way in which key events are shown and not much agreement as to how they happened. For instance, King Robert is initially shown as reluctant in the movie in accepting that he and the other Scottish nobles are vassals of the English king. There could be some truth to this, but it is also likely that this stage of his career was part of a larger plan that had been at work for some time. He and the other nobles were soundly defeated and were unable to mount a serious resistance. He had already, for instance, made a pact with William Lamberton to always support each other, possibly to lay the groundwork for future rebellion well in advance of the rebellion. William Wallace was killed in 1305, but it took Robert the Bruce an entire year before he launched his rebellion. In fact, Edward I had likely begun suspecting the rebellion, as he asked Robert the Bruce to keep his castle at Kildrummy (Figure 2). Other issues include the marriage he had with Elizabeth, his second wife. He married her well before (in 1302) he launched his rebellion, rather than around the time of the rebellion. The depiction that they only gradually got to know and trust each other may not be that accurate as the marriage was more likely to be similar to Medieval political marriages. The depiction of the Bruce's defeat at the Battle of Methven shows treachery by de Valence. However, it was not so much treachery as a clearly bad mistake by the Bruce. He would or should have known de Valence would likely be loyal to the English king, as de Valence was English. The other major flaw was the presence of Edward II in the Battle of Loudoun Hill in the film. It is unlikely that he would have been there and Edward II certainly would not have challenged Robert to any fight. Even if he did, the Scots would not have let him escape as he did in the film because he would have been an extremely valuable prize. Robert the Bruce was shown as a brave, heroic, but also opportunistic character. His opportunistic strike made it possible for him to turn the tides of war against the British. He learned from his mistakes, particularly after major defeats to the English. He realized that he could not engage in any chivalrous battles with the English would never work. The British always had superior numbers and resources, but once the Bruce switched to guerrilla tactics, he changed the tides of war and made it possible for the Scots to win. John Comyn is shown as a competitive figure to Robert the Bruce. His character may not have been as negative as was suggested, as he may have been opportunistically killed as Robert rose in power. His loyalty to Edward was no different than the Bruce's, as both were technically under English authority until Robert decided to make a move and take the Scottish crown for himself. Aymer de Valence was certainly a loyal English subject throughout his career rather than someone who betrayed Robert. Aymer's family had noble heritage from the time of the Norman conquest and was of French origin. Edward I and II are both shown as greedy rulers of England who would stop at nothing in subjugating the Scottish kingdom. While perhaps there is some truth to that, they were also usually cautious. Edward I did try to rule Scotland by playing off the Scottish nobles against each other, while his son was likely to be a more indecisive and poor strategic thinker relative to his father. The Outlaw King does a much better job than Braveheart in depicting events that led to the Scottish rebellions that ultimately led to Scottish independence. The significance of Robert the Bruce is that not only did he lead Scotland to independence but it was through his line that the Scottish monarchy eventually merged with the English kings and became the ancestors of the current British monarch. Robert the Bruce, both his ambition and bravery, were critical to the ultimate success against the English. The key events between the 1290s and 1307, the first major victory against the English, are sometimes glossed over or not displayed to full accuracy. However, the rise of Robert the Bruce in the film does show the difficult political landscape that Robert had to navigate and ultimately obtain the Scottish crown for himself and family. ↑ For more on the period before and the beginning of the Scottish rebellions against Edward I, see: Traquair, P. (1998). Freedom’s sword: Scottland’s wars of Independence. London: HarperCollins. ↑ For more on the events at around the time of the Battle of Methven, see: Saunders, C. J., Le Saux, F. H. M., & Thomas, N. (Eds.). (2004). Writing war: medieval literary responses to warfare. Cambridge ; Rochester, N.Y: D.S. Brewer, pg. 107. 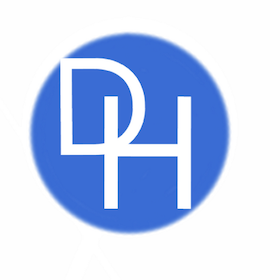 ↑ For more on Aymer de Valence, see: Phillips, J. R. S. (1972). Aymer de Valence, Earl of Pembroke, 1307-1324: baronial politics in the reign of Edward II. Oxford: Clarendon Press. ↑ For more on Edward II, see: Warner, K. (2015). Edward II: the unconventional king. Stroud, Gloucestershire: Amberley. ↑ For more on Edward I's and Robert's relationships and conflicts, see: Whyte, J., & Whyte, J. (2016). The Guardian: a tale of Andrew Murray. First U.S. edition. New York: Forge. ↑ For more on Elizabeth and her marriage to the Bruce, see: Underhill, F. A. (1999). For her good estate: the life of Elizabeth de Burgh. 1st ed. New York: St. Martin’s Press. ↑ For more on Robert the Bruce, see: Penman, M. A. (2014). Robert the Bruce: King of Scots. New Haven: Yale University Press. ↑ For more on Comyn and his claim to the Scottish throne, see: Crome, S. (1999). Scotland’s first war of independence. Alford: Auch Books, pg. 77.